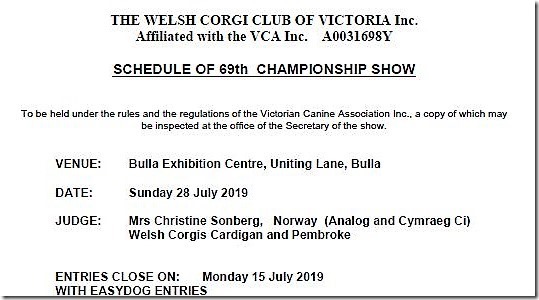 The Welsh Corgi Club of Victoria is proud to announce the details of the 65th Championship Show – April 2017 [PDF]. 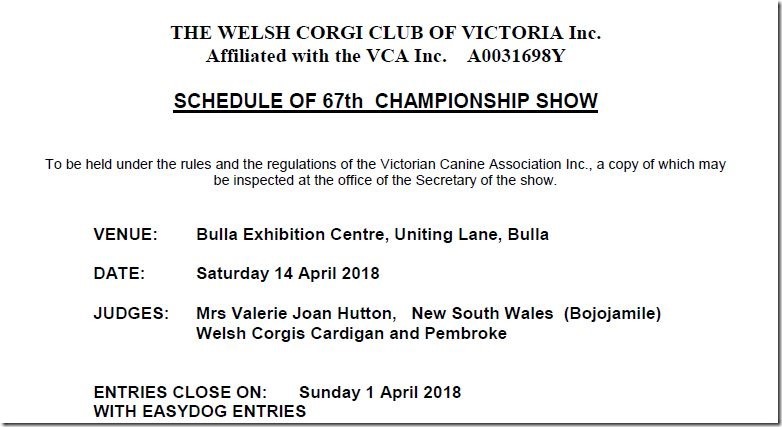 This will be the second time that we have held a mid-year Championship Show in place of the Open Show. 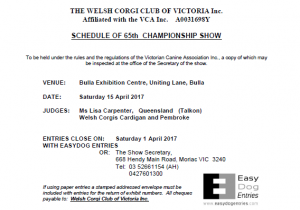 The 65th Championship Show is being held at Bulla Exhibition Centre on Saturday 15th April, 2017. 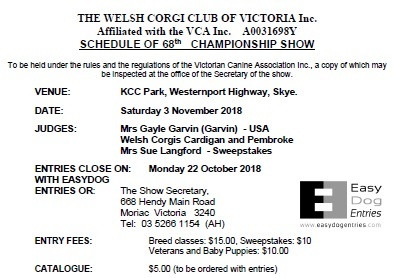 Ms Lisa Carpenter (QLD – Talkon) is our judge, and the show will be held in coordination with the Easter Festival Kennel Club Championship Show. 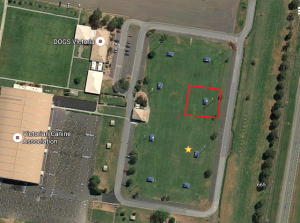 Further details are included in the schedule [PDF]. 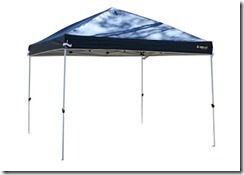 Challenges will be awarded at both shows.